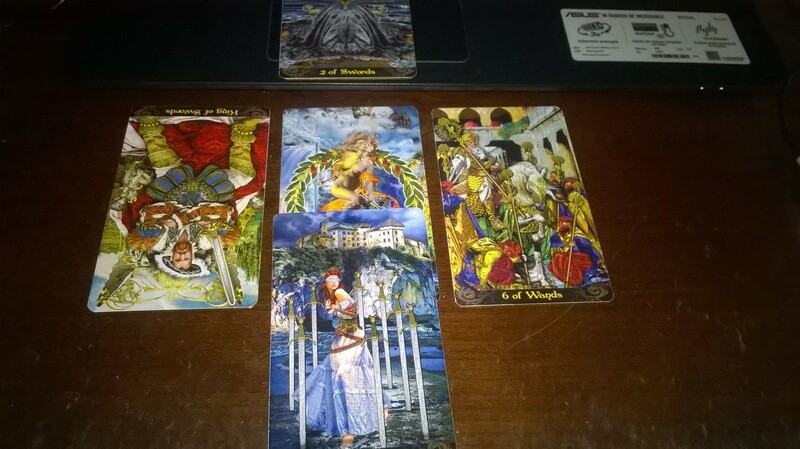 Here is your love reading with your current partner- In relationships it seems you may be at a cross roads- not sure if to continue with this partner or hold out for someone else. In the past either you’ve had not good relationship with past loves or could be this person that is emotionally controlling or egotistical. But I do see you happy in this relationship at the present time and I also see this is a good relationship to work out, once again you have the victory card in your future that this relationship can be a success if you both decide to make it work. Your action card shows that you may seem like you are jaded by past experiences either with this person or past relationships, you may seem like you don’t have many options, but you maybe have to take time and reflect either the pluses in this relationship or how far you’ve both come to continue the relationship. I do see a happy ending there if you decide to pursue it. I hope this helps you gain clarity in love. I thank our guides for their help in your readings. I wish you much blessings in the future! Join us on Facebook! Click the icon below!